The Oregon State basketball team was in Barcelona during Thursday's horrible events. A terrorist attack in Barcelona left at least 13 dead and 100 injured on Thursday, but fortunately no one from the Oregon State men’s basketball team — which is in Barcelona on a foreign summer trip — was harmed. The attack occurred across the street from the team hotel, where the Beavers were having a pre-game meal during their foreign summer trip. 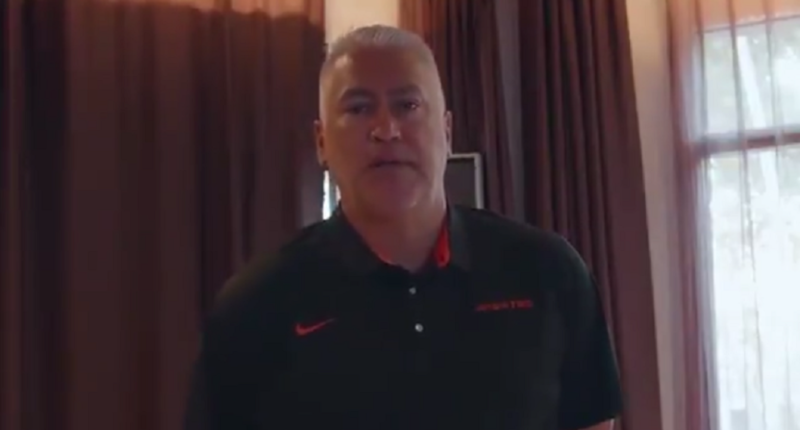 The team watched the attack unfold from their hotel window, but coach Wayne Tinkle announced the entire team is safe in a short video on Twitter. Strength and conditioning coach Jeff Macy also released a statement through Twitter. Arizona, Clemson, Grand Canyon and Tulane were also in the Barcelona on Thursday, and they all confirmed their safety on Twitter as well. Our entire travel party is safe and accounted for following the situation in Barcelona today. Our thoughts are with the people affected. The Lopes won the Spain trip exhibition opener 96-58 in a town outside Barcelona. Team and staff are safe. Braun: 16; Lever: 12; Benson: 11. Everyone associated with @GreenWaveMBB is safe and accounted for in Barcelona today after an incident involving a van injuring pedestrians. Jesse is a writer and editor for The Comeback. He has also worked for SI.com and runs The Catch and Shoot, a college basketball website based in Chicago. He is a graduate of the Medill School of Journalism at Northwestern University. Follow Jesse on Twitter @Jesse_Kramer.